Those of you who know me may know I’ve tried to blog before, but life always seemed to get in the way. It has taken me in some surprising directions, not all of which were unpleasant, but it’s been a bit of a struggle. So, I’ve decided to take Life by the balls (of yarn!) and at long last create and follow my own road map. I know, it sounds very philosophical. I haven’t had much of an opportunity to discover my own ‘style’ yet. Don’t get me wrong, I can dress myself (usually co-ordinated too!) but I need to discover my own design style. I have followed briefs, created because of a specific need (or page count to be filled) but haven’t really been able to express my own creativity. It will be interesting (well, for me anyway!) to give myself permission to experiment and find my own way. It’s a ‘permission’ I have given to my students over the years, and it’s time I took my own advice! I might fail miserably along the way, but if you share my journey with me, I hope that you can learn from my mistakes. So, what can you expect from Little’ole me? 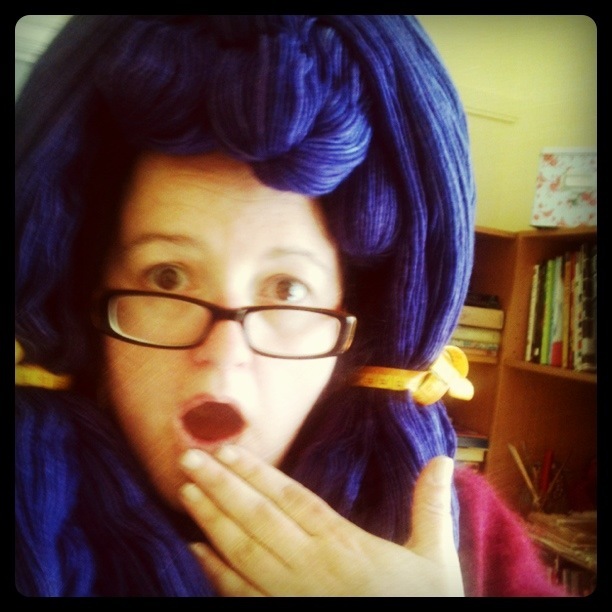 Well…..
Yarn tales – what I love, what’s new, what excites me, any great finds, books, blogs, shows – everything and anything yarn related! Details of classes – lots of them are planned, so keep on checking. Lots of tutorials and interesting tricks’n’tips. I know, I should keep these up my sleeve, but some are too great to keep quiet about. Share and share alike, that’s my motto – at least sometimes, anyway. Unless it’s yarn, in which case it’s mine, I tell you, all mine! So, that’s my ‘mission statement‘ for this blog. Why share it with the world? Well, it’s a way for me to monitor whether I’m sticking to it, and to give my ‘journey’ (bleurgh) some direction from the start. However, I reserve the right to make the occasional detour now and then. After all, life can be more fun when you go off-road every once in a while. Feel free to call Shotgun and ride along with me for a while. I have tea and cake for the duration – and I do stop for yarn shops!